Enter to win an absolutely stunning Blue Nile Signature Diamond worth $5,000 and you only have to enter once to be eligible to win this brilliant piece of jewelry to add to your collection this summer! 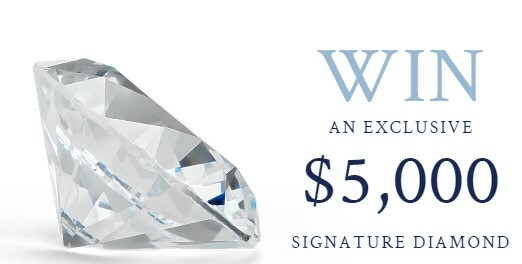 Grand Prize (1): A Blue Nile Exclusive $5,000 Signature Diamond. The Approximate Retail Value of the Grand Prize is USD$5,000.